Follow the latest Be Inspired news, videos, and analysis from ABC News. 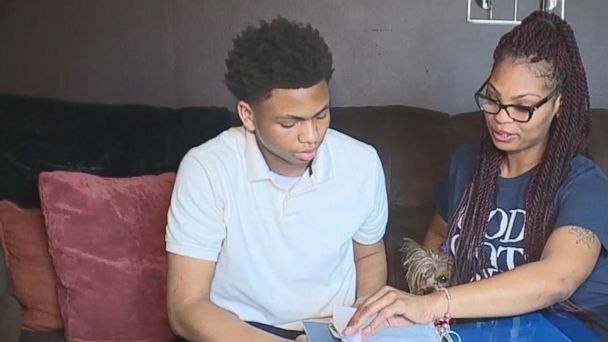 Jakelia Baker, a 17-year-old valedictorian, also earned over $1 million total in scholarships. 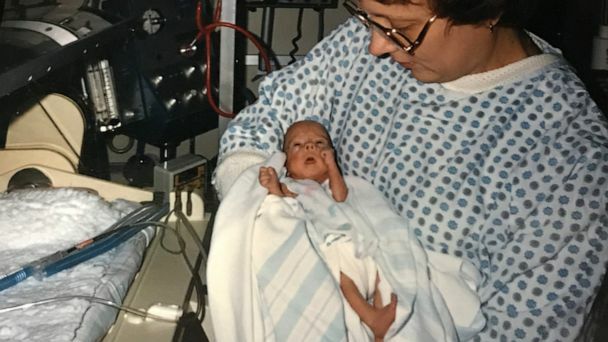 A woman who was once a tiny patient in the neonatal intensive care unit is now helping babies where she was treated as a micro preemie. 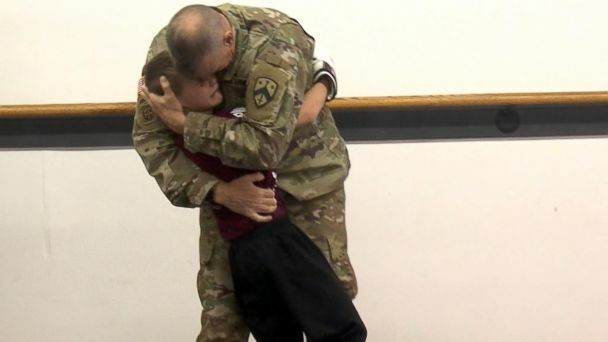 An Army staff sergeant with the National Guard returns home to Tennessee to surprise his son in a heartwarming video. 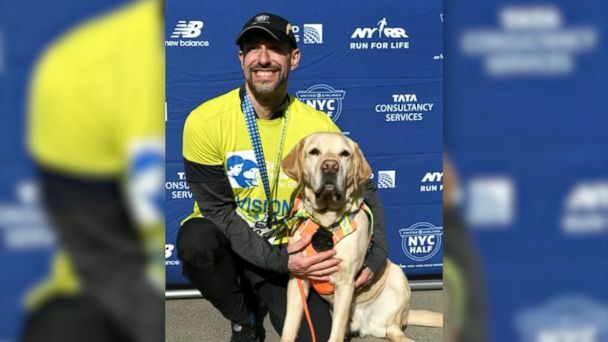 Thomas Panek became the first blind man to finish the United Airlines Half Marathon in New York City on Sunday, along with a trio of guide dogs. 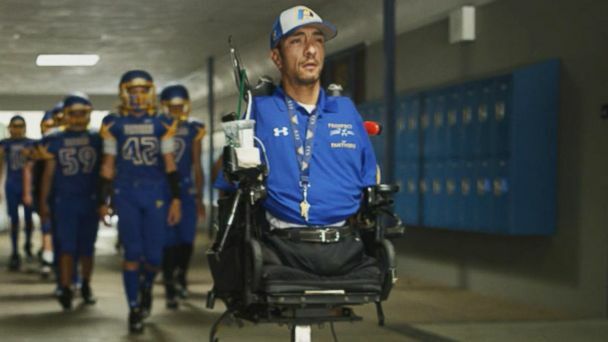 Visnu Gonzalez, who is paralyzed from the neck down but has some limited arm strength, said he was told the only way to have a baby would be through in vitro. Michael Love said he applied to almost 50 schools to show people "I'm better than what they think I am." ABC News' Will Ganss reports. 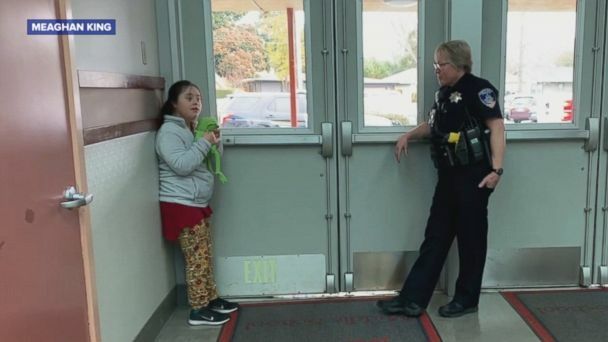 Chris Morrison, a school resource officer at a California middle school, used the gift of song to soothe a young student. 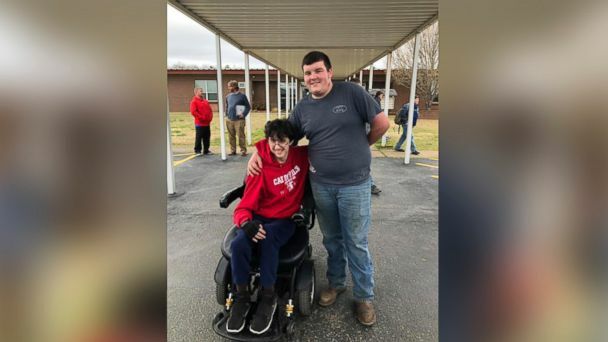 Tanner Wilson, a senior at Caddo Hills High School in the rural town of Norman, Arkansas, bought an electric wheelchair for his classmate and friend, Brandon Qualls. 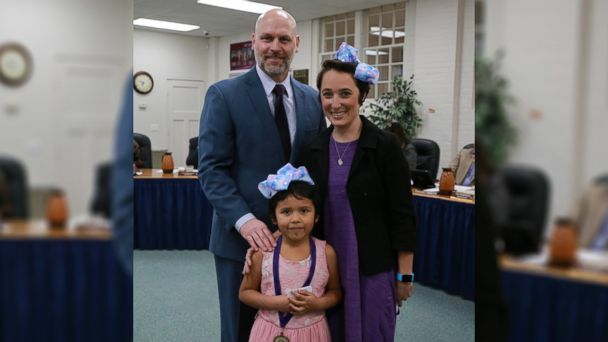 Teacher Shannon Grimm, also a mom of three, said she wanted to turn student Prisilla Perez's tears into a teachable moment for the entire class. Joseph Wright was seen in a now-viral photo with a 16-month-old girl, Carter Jean, sitting and having a conversation, looking at videos on a tablet and having "a good time." 'Angels' have been paying off layaway balances for strangers' Christmas gifts. Attie Jamison's inspiring story is spreading hope during the holidays. Attie Jamison, 14, told "Good Morning America" that what she loves most about the holiday classic is "that there are no limits." "GMA" surprises a group of military families at the Fort Campbell army base with news that their layaway plans have been paid off in full just in time for Christmas. The crowd thought they were attending a customer appreciation event at the Fort Bragg North Post Exchange. "GMA" sponsor Home Instead senior care spotlights the work of one of their caregivers, JoAnn Page. Jasmin Ford, 30, of Chicago, said the surprise from Fifth Third Bank "changed the direction and the course of my life." Peter Shankman uses Imgur to find people to whom to donate his airline miles. It was a random act of kindness that brought together two complete strangers on a flight from Orlando to Philadelphia, and brought a mom who was traveling with her baby girl to tears. Susie Rabaca was in need of a transplant to help treat her leukemia. Perry said he paid more than $430,000 at two Atlanta-area Walmarts after being inspired by a "GMA" story on other secret Santas who have paid off holiday layaways across the country. Staff at Ruffino's on the River in Lafayette, Louisianna got their co-worker a car after his was stolen. The general manager at Ruffino's on the River in Lafayette, Louisiana, called the surprise "the most touching thing" he's experienced in 30 years. Through a music program at the YMCA of Greater Erie, teens wrote a classical music score that was performed by the Erie Philharmonic orchestra. One hockey fan's homemade sign ultimately saved her life after she used it to ask strangers for a kidney donation. Kelly Sowatsky, 31, held up a handmade sign at a Pittsburgh Penguins game last April, and after the team tweeted out a picture of it a fellow fan who saw the viral photo ended up being a match. "He made me believe in the magic of Christmas," the woman, who snapped a photo of the so-called "Layaway Angel," said on Facebook. Cam Underwood met with Sally Fisher, the mother of his face transplant donor, 10 months after his surgery. Toddler gives hugs to festivalgoers at Atlanta park. Kindergartners at a Tennessee elementary school learned to sign "Happy Birthday" as a surprise for their school's custodian. The police force made this young patient's lifelong wish come true. George Labecki, 63, was surprised by Lindsay Arnold Wenrich, 34, who revealed that she'd be donating her kidney to him. "I didn't want to be seen as that kid with one arm," Alex Hurlburt said. Lilah Joiner, from Carthage, Mississippi, was born with autosomal recessive polycystic kidney disease (ARPKD). Aa mob of students surprised their teacher by ringing bells outside her at home on the day she finished chemotherapy. His family said they wanted to do all the fun things he likes. Michael and Sara surprise a family after an incredible life-saving operation. Carolyn Collins, 54, is discreetly helping less fortunate kids. A South Carolina middle school teacher's request for new desks for her classroom was fulfilled through donations to DonorsChoose.